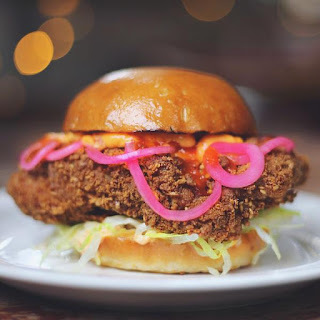 CoqFighter, formerly known as Wingman Chicken - have a residency at The Rose & Crown in Torriano Avenue, NW5, serving Thursday - Sunday into May 2016. Go for wings, baos, and burgers! "NEW RESIDENCY! We'll be at the Rose & Crown in Kentish Town for the coming months with all the baos, wings and burgers you can eat."